Everyone Deserves a Beautiful & Healthy Smile! help you and your family attain a lifetime of happy smiles and superior oral health! Serving the local communities and families with excellent dental care! 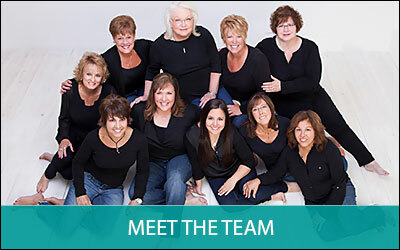 Jennifer Schau DDS and her team are a Saginaw, MI based dental practice, offering gentle dental care with a focus on superior oral health for all patients. In addition to family dentistry, we offer children, teens, and adults Invisalign®, Invisalign Teen™, and traditional braces. Since 1996, Dr. Schau has been dedicated to providing gentle, effective, and patient-focused dental care to her wonderful patients in the Tri-Cities and surrounding communities. 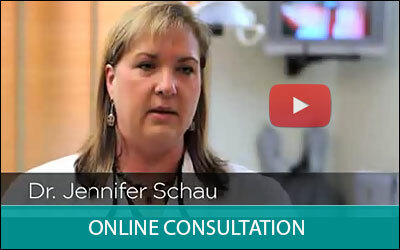 Dr. Schau and her team pride themselves on not simply treating their patients with state-of-the-art techniques and procedures, but also creating a positive, relaxing, and rewarding patient experience. Dr. Schau and her team listen to your needs, taking the time to thoroughly understand what is important to you, then presenting their findings and treatment options to you. In this way, our patients are empowered to make informed choices about their treatment. In short, we treat you as we would want to be treated. Dr. Schau offers a full range of dental treatment including: Hygiene (teeth cleaning), Fillings, TMD – TMJ (Jaw Disorder) treatment, Cosmetic Dentistry, Invisalign® & Invisalign Teen™ Clear Aligners, Braces, Oral Cancer Screenings utilizing Velscope, and restorative procedures like Implants, Bridges, Crowns and Veneers. I am not sure that anyone LIKES going to the dentist, but Dr. Schau and her staff make it about as good as it can be. They are always professional, friendly and on time. I highly recommend this practice (and often do). Dr. Schau was able to correctly diagnose an ongoing problem at my first visit. My previous dentist had ignored the symptoms and I had lost my trust in him. I have had nothing but positive experiences with Dr. Schau and her staff.